The smartphone market is getting bigger and bigger every day. Where the mobile manufacturers provide a better specification device at a limited price category. While most of the companies only focused on the processor, RAM, and camera department, some of the device brands also focused on regular firmware updates. Such as Nokia, Google Pixel, Essential PH, OnePlus, and other Android One powered devices. 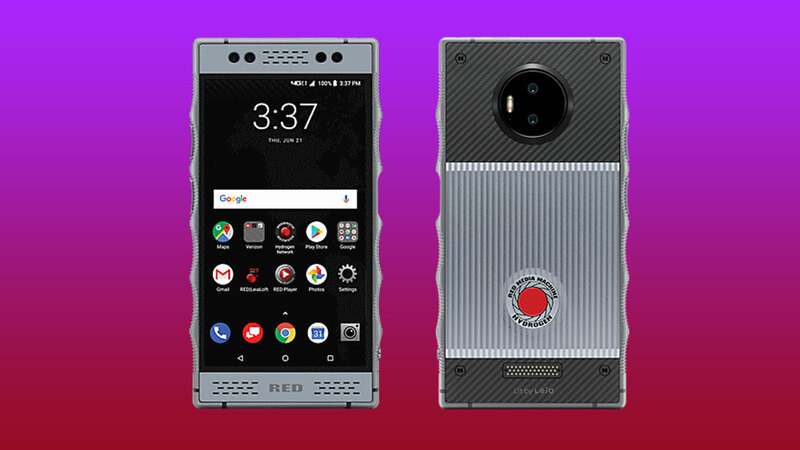 The smartphone called Hydrogen One made by Red company is partnered with Verizon and AT&T mobile carrier. Now, the December 2018 Security Patch Rolling Out for Red Hydrogen One device. The Verizon is currently rolling out the updated security patch to this device according to the company. It includes the version number of H1A1000.010ho.01.01.01r.109 which is based on the Android 8.1 Oreo version. It doesn’t bring any of the extra feature or system improvements with OTA update. Now, all the high-end smartphones are running on the latest 2019 Android Security Patch whether it may be January/February month. While the Red Hydrogen One device is running on Android Oreo and an outdated security patch. However, we can expect the brand to keep at least major Android versions and security patch levels up-to-date with frequent firmware upgrades. At least we can expect these two regular updates from a so-called high-end smartphone. The OTA update is in incremental mode and will take time to roll-out via batches. So, if you’re the Red Hydrogen One device user, you need to have some patience for the update. Meanwhile, you can check for manually via your device Settings > System Update option to confirm the OTA. Otherwise, you need to wait for a few days. Till now, there is no information by the officials about the Android 9 Pie update yet. Whenever the Android security patch updates are two months late that means you’re also late in providing Android updates. Still, Red brand can fill the security patch gap within two months and then they can maybe proceed for Pie Beta release for now. However, we can expect the official stable Android 9 Pie build on the Red Hydrogen One device somewhere between June-August month, 2019. Till then stay tuned for more info. Feel free to comment down below your thoughts and queries (if any).